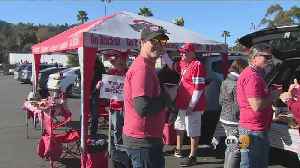 Pasadena is packed full of Buckeyes and Huskies today as Ohio State and Washington battle in the Rose Bowl. Their fans have taken over the Southland. Greg Mills reports.